Do you like games? Here’s a guessing game for you. What is high energy, has tremendous melody and harmony, is both soft and loud, always passionate and soulful, and incredibly unique? The answer: a fantastic band called If I Ever See You Out of Town. One of the things I like most about this band is that they remind me so much of the bands I played shows with back in the day. One of my fondest memories of being in a band was playing shows with other bands who left it all on the stage. After every show they were drained, physically and mentally. That’s the impression I got, almost immediately, about If I Ever See You Out of Town. True to their bio, if you didn’t have their debut album, A Place to Build Planes, right in front of you, you might not believe that those 13 songs (yes, 13 songs, nearly an hour’s worth of music!) all come from the same album. Despite that constant surprise from song to song, the music does have an underlying sound that is unmistakably unique. For example, when you listen to “Catacombs” and then listen to “When It Rains”, you might think those are two songs by two different bands. But the thing they have in common is the emotion and passion. Nobody can ever listen to the music from If I Ever See You Out of Town and say they don’t give 100% on every song. And while this band may often find themselves compared to Modest Mouse, I also detected hints of At The Drive-In (remember those guys?) and The Front Bottoms. Not so much in the music or the way it sounded, but more in the release of energy and the exquisite use of harmony. The bright lyrics are also quite compelling, as it’s always a treat to be able to listen to something that engages not only the ears, but also the mind. The cleverly crafted lyrics aren’t there just to take up space. These songs are stories put to amazing music that will make you stop and reflect. Some of the songs I liked the most off their album were “Devil Take Note”, “Copper” and “Daredevil Birds”. But my favorite song of all was “Catacombs”. I loved the quietness of the beginning and how it morphed into something so powerful, so raw, so primal and full of emotion that I couldn’t help but lose myself in the song. It has an almost Metallica-like beginning, with soft and hypnotic guitar picking. Then about the two minute mark the song switches from soft to hard, climaxing in a brilliant crescendo of harmony and melody. If you’re in the mood for some reflection or just want to listen to some amazing music, look no further than If I Ever See You Out Of Town. 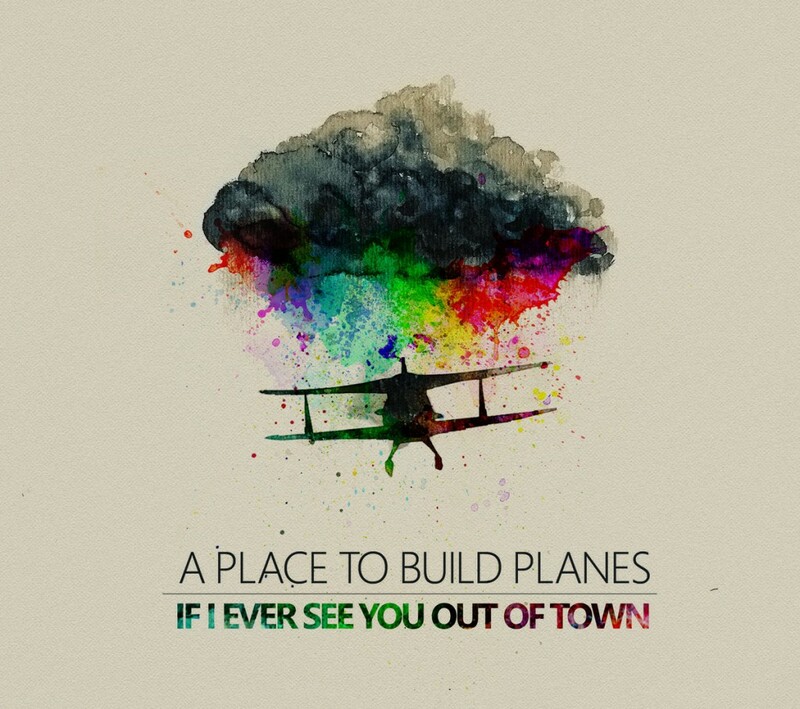 Below you can preview their debut album, A Place To Build Planes, via Bandcamp. Enjoy!